Naturally Hydrating: No need to add water. 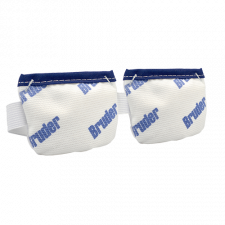 The Bruder Eye Hydrating Mask refreshes, rejuvenates and relieves dryness simply, naturally and conveniently. Just place the mask in a clean microwave for 20-30 seconds, then apply over closed eyes for 10 minutes. The moist heat provides welcome relief in minutes. The mask will maintain prescribed heat levels for the entire treatment. Treatment can be repeated as often as necessary, typically one or two times a day. Doctor recommended. Washable & reusable.